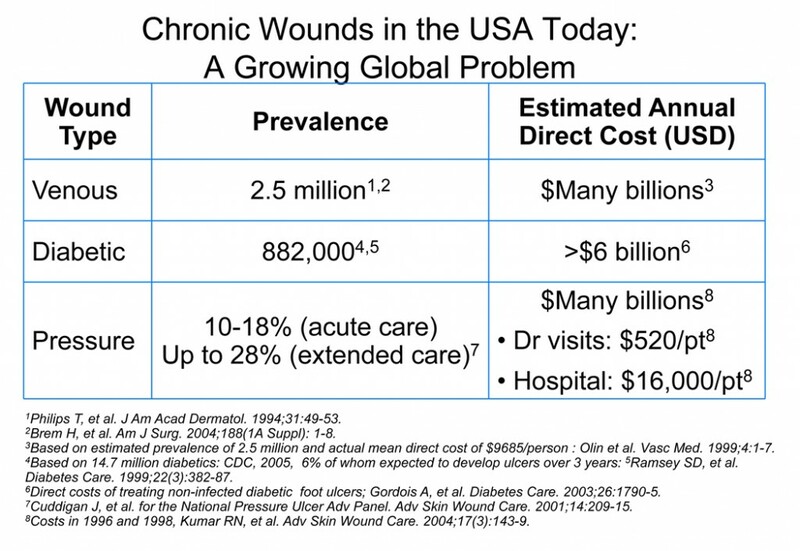 Millions of Americans now suffer with chronic wounds that impact, impair or cause loss of life because of issues associated with infection and immunity, vascular insufficiency, diabetes, or excessive pressure. In turn, billions of health care delivery dollars are expended caring for these inflicted Americans whose quality or loss of life affects productivity at home or work. Whether it’s a scraped knee on the playground or a life-threatening battlefield injury, work at the Tufts Center for Innovations in Wound Healing Research is focused on providing novel therapeutics and “next-generation” devices capable of promoting wound healing, irrespective of wound origin (i.e., acute, thermally-induced or chronically-persistent).